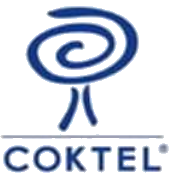 Coktel is a French computer game developer that was founded as Coktel Vision. In 1993, Coktel Vision became a subsidiary of Sierra. After Sierra's properties were purchased by Havas following the fraud scandal of Sierra's previous owner Cedant, Coktel Vision became solely an educational game developer. After the merging of Vivendi and the parent group of Universal (Seagram), Havas became Vivendi Universal Publishing. Vivendi Univeral sold Coktel Vision to Mindscape, where it continues to develop children's entertainment games under the name Coktel.